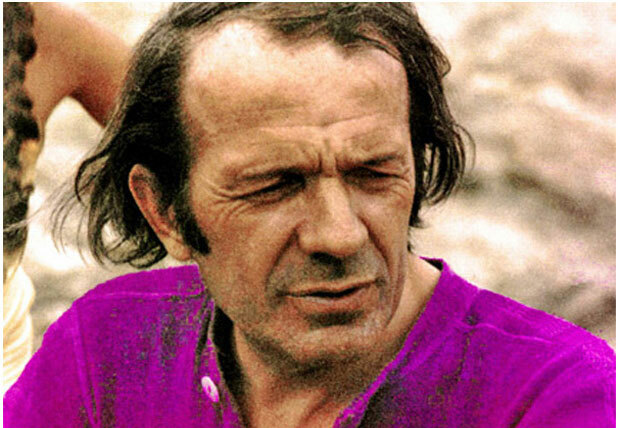 Gilles Deleuze, a renowned French writer and anti-rationalist philosopher, was born on January 18, 1925, in his lifelong residence on the 17th arrondisment of Paris. His father was an engineer and had also served in the World War I. His brother had been involved in the German resistance during the German occupation of France, he was captured and killed. Before the war, Gilles attended the public school. When the war broke out, Gilles was vacationing in Normandy, and upon the German invasion of France, it was decided that Giles would stay in Normandy and continue his education there. He lived in Normandy for a year, where he experienced the first positive impact on his academic learning, his teacher influenced him to study the works of Gide and Baudelaire. He returned to Paris and enrolled at the Lycee Carnot. He later studied at the Henri IV, where he did his Kagne, a year of education for brilliant students. In 1944, he attended the Sorbonne where he studied philosophy. In 1948, he received his aggregation in philosophy. He began his career in 1948, and took up the position of a philosophy teacher in various schools in Paris. In 1953, he wrote and published his first book, ‘Empiricism and Subjectivity, on David Hume’. In 1957, he took up the position of a lecturer on the history of philosophy at the Sorbonne. He left Sorbonne in 1960, upon receiving the appointment of a researcher at the Centre National de Recherche Scientifique, he held this job for the next four years. Meanwhile, Deleuze also had several teaching assistant jobs in various universities. In 1962, he published his influential book, ‘Nietzsche and Philosophy’. During this time, he began a life-long friendship with Michel Foucault, when Foucault petitioned to have Giles nominated for a position at the University of Clermont-Ferrand. In 1964, Giles accepted a teaching position at the University of Lyon, and in 1969, with Foucault’s assistance, he managed to secure a position as a philosophy professor at the Vincennes. In 1968, Deleuze published his doctoral thesis, it consisted of a major thesis, Différence et répétition (Difference and Repetition), where he explored the nature of thought, identity and time, and a minor thesis, Spinoza et le problems de l’expression (Expressionism in Philosophy: Spinoza). In the same year, Giles became infected with a pulmonary illness that would plague his body for the rest of his life. In 1969, Giles secured a teaching position at the Experimental University of Paris VII, he taught there until his retirement in 1987. He met his future partner and literary collaborator, Felix Guattari, at the Paris VII. Together they wrote and published a number of influential literary texts such as the two volumes of Capitalism and Schizophrenia, Anti-Oedipus and A Thousand Plateaus. These texts provided a reflection on the political tensions surrounding France during May 1968. Deleuze was actively vocal on various political issues throughout his life, he was particularly concerned with the homosexual rights and the Palestinian liberation movement. Giles was also a member of the Groupe d’information sur les prisons, an organization founded by Foucault. Upon Foucault’s death in 1984, Giles wrote and dedicated a book to the study of his work to pay homage to Foucault’s contributions, the book ‘Foucault’ was published in 1986. Giles Deleuze has made numerous literary contributions, some of his works have been dedicated to honor the work of other practitioners, while some other works have been based on philosophers such as Hume, Kant, Spinoza, Nietzsche, Bergson and Foucault. Some of his most notable publications include, The Movement-Image, The Time-Image, Painting (Francis Bacon), Proust and Signs, Coldness and Cruelty, and Kafka: Towards a Minor Literature among others. He has also written texts on famous authors such as F. Scott Fizgerald, Herman Melville, Samuel Beckett, Antonin Artaud, Heinrich von Kleist, and Fyodor Dostoyevsky, which provide accounts of philosophical encounters with artistic productions. Giles’ last work, “Immanence: A life…” was published a few months before his death, it consisted of a collection of essays called the ‘Essays Critical and Clinical’. Deleuze’s pulmonary illness had become unbearable, he was prescribed severed confinement which rendered him unable to write. On 4th November, 1995, Giles Deleuze ended his own life.